When you use tessellation, the shader is automatically compiled into the Shader Model 4.6 target, which prevents support for running on older graphics targets. The image below displays some simple GameObjects with this shader applied. 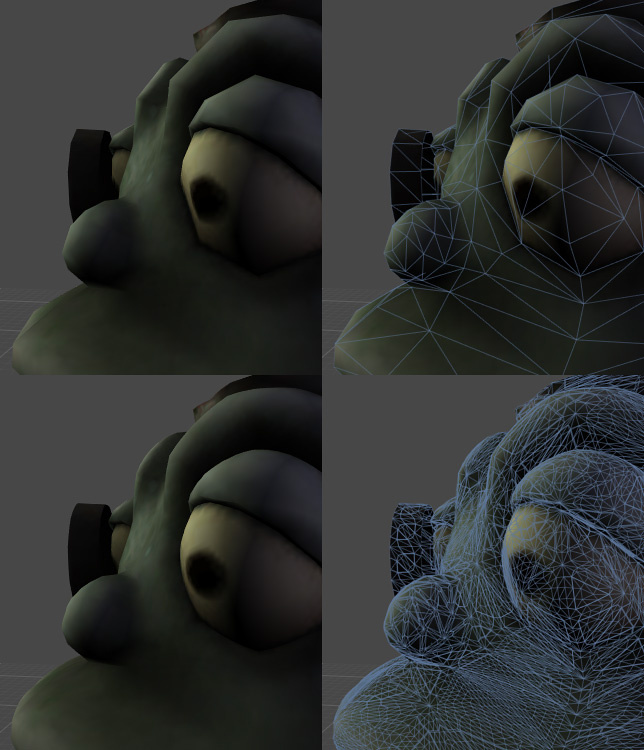 If your model’s faces are roughly the same size on screen, add a fixed amount of tesselation to the Mesh (the same tessellation level over the whole Mesh). 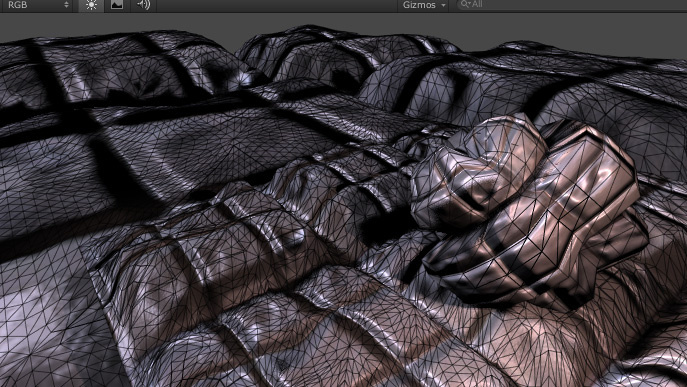 The following example script applies a fixed amount of tessellation. In the example above, the tessFixed tessellation function returns four tessellation factors as a single float4 value: three factors for each edge of the triangle, and one factor for the inside of the triangle. The example returns a constant value that is set in the Material properties. The distance when tessellation is at maximum (for example, 10 meters). The distance when the tessellation level gradually decreases (for example, 20 meters). Here, the tessellation function takes the vertex data of the three triangle corners before tessellation as its three parameters. Unity needs this to compute tessellation levels, which depend on vertex positions. The example includes a built-in helper file, Tessellation.cginc, and calls the UnityDistanceBasedTess function from the file to do all the work. 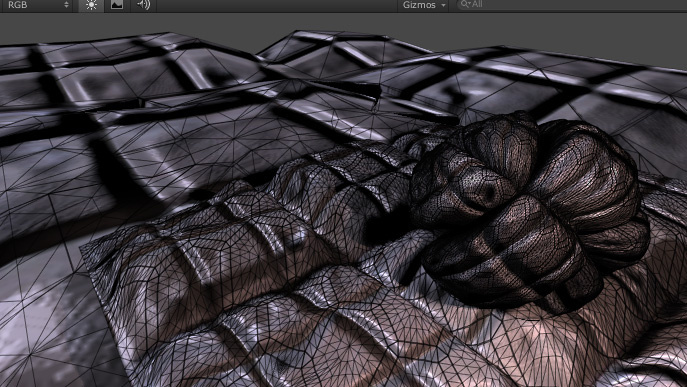 This function computes the distance of each vertex to the camera and derives the final tessellation factors. Purely distance based tessellation is effective only when triangle sizes are quite similar. In the image above, the GameObjects that have small triangles are tessellated too much, while GameObjects that have large triangles aren’t tessellated enough. One way to improve this is to compute tessellation levels based on triangle edge length on the screen. 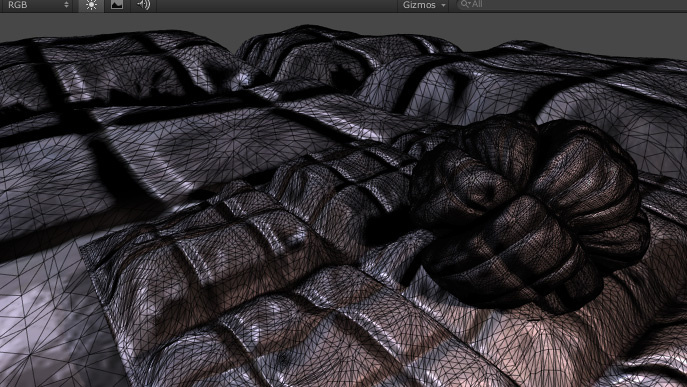 Unity should apply a larger tessellation factor to longer edges. In this example, you call the UnityEdgeLengthBasedTess function from Tessellation.cginc to do all the work. For performance reasons, call the UnityEdgeLengthBasedTessCull function instead, which performs patch frustum culling. This makes the shader a bit more expensive, but saves a lot of GPU work for parts of meshes that are outside of the Camera’s view. Here is a comparison between a regular shader (top row) and one that uses Phong tessellation (bottom row). 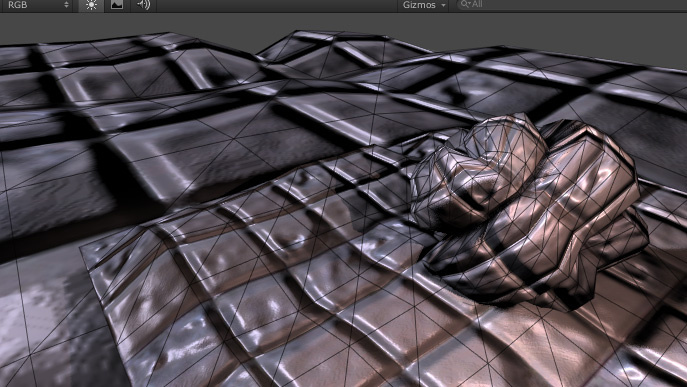 See that even without any displacement mapping, the surface becomes more round.